The scrap o the 55-years old November class submarine should, however, be monitored closely, reads the recommendation in a newly published report by a joint Norwegian-Russian expert group that made measurements near the wreak during an expedition in 2014. «Monitoring of the marine environment around K-159 should be followed closely, especially in connection with any future plans for the recovery of the submarine,» the report concludes. In Arctic waters, the «Komsomolets» submarine lays at 1,600 meters depth in the Norwegian Sea with one reactor and two plutonium warheads. 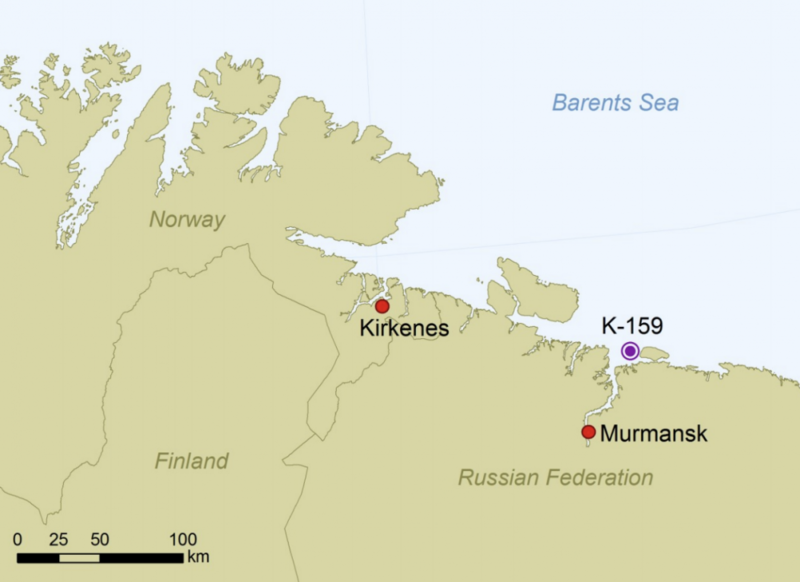 In the Kara Sea, east of Novaya Zemlya, 16 reactors are dumped on purpose, including the entire submarine K-27 and a reactor from the Soviet Union’s first civilian nuclear powered icebreaker, the «Lenin».